I'm back with another Valentine's project. 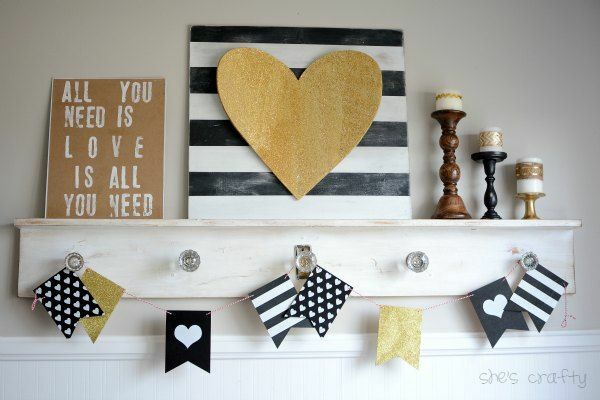 My black, white and gold Valentine's Day Mantel. background of my Christmas and winter mantel. 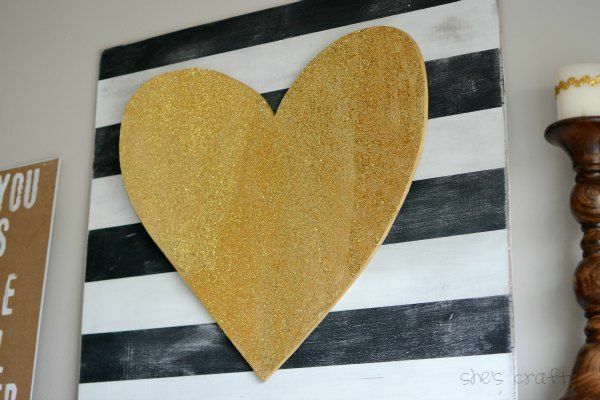 Then I added a gold glitter heart on top. I hand cut a heart shape from a sheet of foam core. 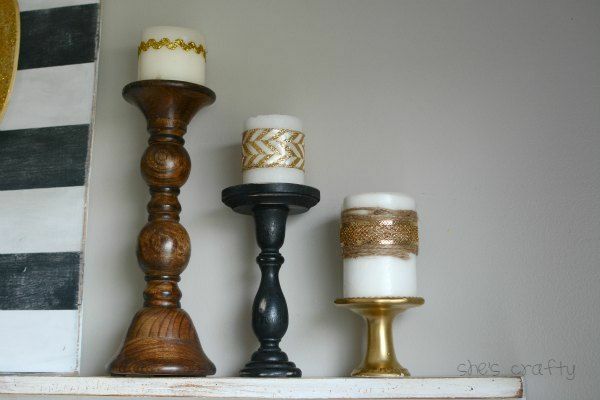 Then I painted it gold with craft paint. 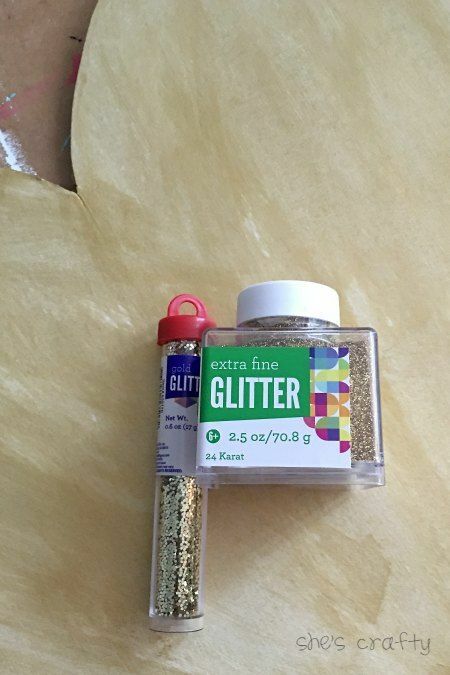 Then I grabbed some regular gold glitter and mixed it with some extra fine glitter. I brushed on mod podge with a foam brush in a small section. Then I sprinkled the mixed glitter onto the wet glue. 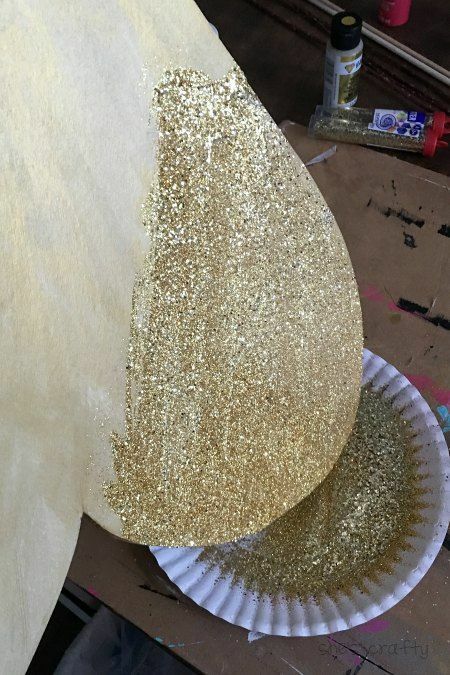 I kept a paper plate underneath to catch the loose glitter, then reused it. 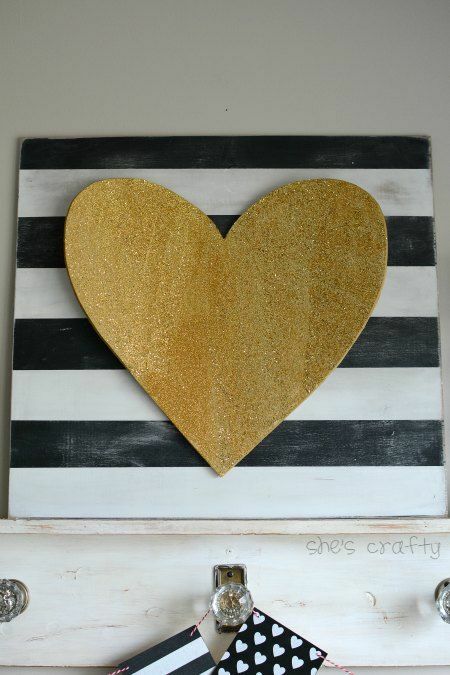 After the heart dried, I hot glued it onto the b/w striped board. 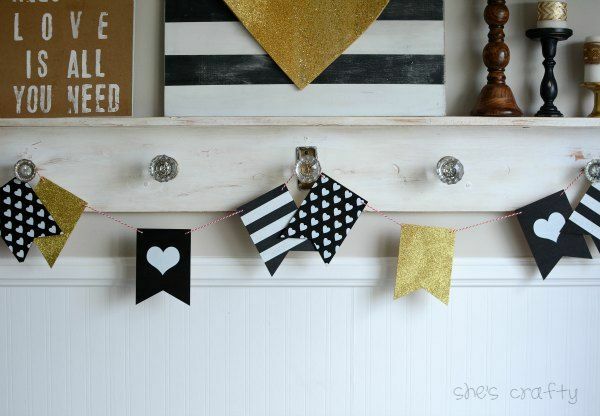 I found this super cute, decorated wooden banner at the Target Dollar Spot that was just perfect! I hung it on my mantel exactly as it came out of the package. 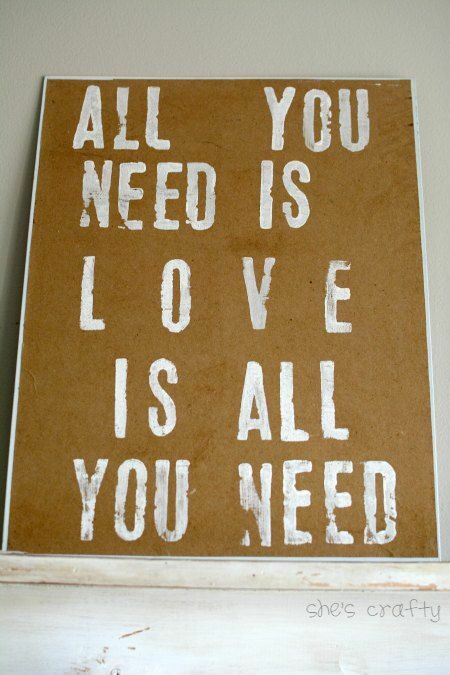 I made this love word art many years ago. I pulled some candles and candle sticks out of my stash and put them up there. 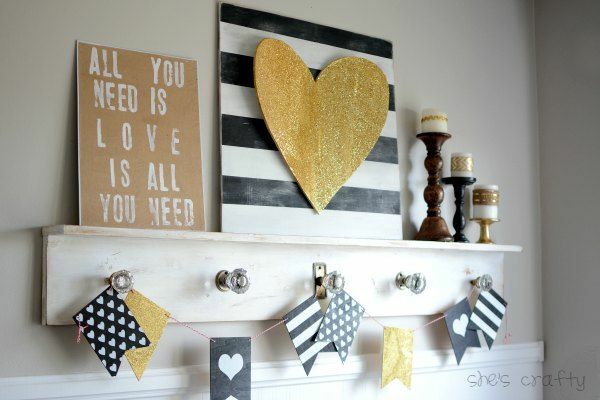 And there's my black, white and gold Valentine's Day Mantel.